Cement Creek water from the Gold King mine area is a constant source of pollution. Addressing the problem with a Superfund designation and placing it on the National Priorities List is a lengthy process. The road to a Superfund designation can be long, local officials learned from Environmental Protection Agency representatives on Thursday. EPA officials came to Durango to talk with the Durango city councilors and La Plata County commissioners about funding for mine remediation through a National Priorities Listing. 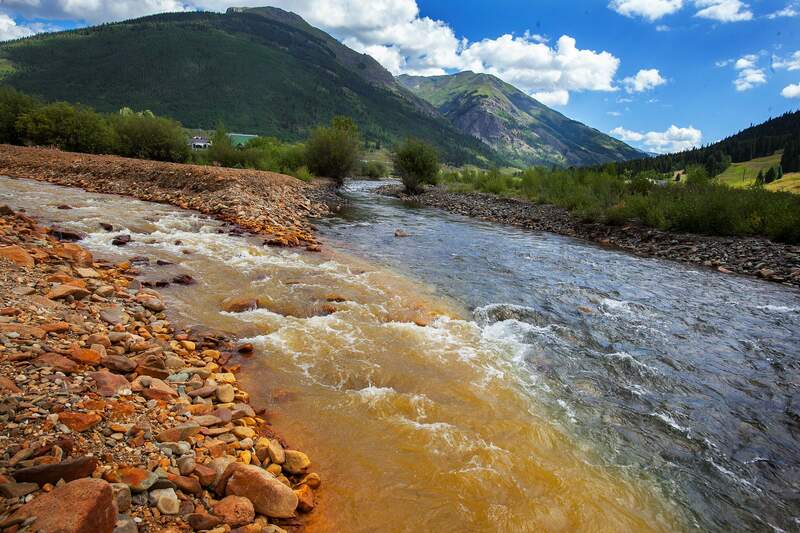 While the meeting was sparked by the Gold King Mine blowout that sent 3 million gallons of yellow-orange, heavy-metal laced water down the river, officials did not want to talk about the mines above Silverton specifically, choosing instead to focus on the designation process. La Plata County Sheriff Sean Smith questioned this approach because it didn’t take into account the role the EPA played in causing the mine to release pollution. “If there is a special rule process, why wouldn’t we be contemplating that?” Smith asked. Shaun McGrath, the EPA’s Region 8 administrator, explained that if draining mines in Silverton was placed on the National Priorities List, it would try to address the more than 300 million gallons of pollution that runs into Cement Creek every year from many mines. The EPA has already completed some steps necessary for a listing, including giving it a draft Hazard Ranking score in 2011, McGrath said. Community support is also key in deciding to designate a site, officials said. Historically, some residents in Silverton have opposed a listing. County Manager Joe Kerby asked that if the impacts are throughout an entire river corridor, how might that improve the chance of a site being listed. If ongoing water treatment is necessary, Colorado could be responsible for covering those costs, unless a responsible party like a company is found. To help find those parties, the EPA employs a team of lawyers. Those companies can also challenge a decision. Making sure Superfund decisions stand up to legal challenges is one of the factors that slows the process, Ammon said. Inadequate funding from Congress for Superfund projects can also cause delay, he said. “We don’t know what our annual appropriation is going to be year to year,” McGrath said. The EPA can break a major mine site into smaller projects to help stem pollution, helping to spur the process.